savings with OCBC 360 Account. to savings with OCBC 360 Account. From 1 April 2019, the Salary Bonus interest for balances between S$35,000 and S$70,000 has been increased to 2% per year. Earn bonus interest (% per year) on the first S$70,000 of your account balance. Only salary credit through GIRO with the transaction description “GIRO - SALARY” in your statements will qualify for this bonus. To set up your OCBC 360 Account as your salary crediting account, please inform your HR department of your new account number. You will only need to do it once. Spend at least S$500 on OCBC Credit Cards. Spend at least S$500 in total across your personal OCBC Credit Card(s) such as 365, Titanium, Platinum, FRANK, Robinsons, Plus! and Best Denki. You need to be the primary account holder of the OCBC 360 Account as well as the Principal Cardmember of the eligible OCBC Credit Card(s). Eligible transactions with posting date within the calendar month will be considered, less off and excluding amounts in all transactions that are terminated, voided, reversed or cancelled. Don't have an OCBC Credit Card? Get one today. Increase your account balance by S$500 compared to the previous month. Increase your account's average daily balance in the current month by at least S$500 from the previous month's average daily balance. Insure or invest with OCBC Bank and earn this bonus interest for 12 months. Note: To ensure that the product you purchase meets your financial needs, our financial consultants will perform a Financial Needs Analysis (FNA) with you in order to help you make an informed decision. You need to be the primary account holder of the OCBC 360 Account as well as the policyowner of the eligible insurance product or single name account holder of the eligible investment product. This bonus interest is accorded for 12 months after the effective date of purchase, post the free look/cancellation period or 14 days, whichever is longer. Earn this extra bonus on the first S$70,000 if your account balance is at least S$200,000. Your account's average daily balance for the month must be at least S$200,000. Increase your account balance from the previous month’s balance. New accounts opened will earn the bonus interest on the average daily balance in the month of account opening, and incremental balances in subsequent months, up to a cap of S$1,000,000. You will earn a base interest of 0.05% per year on your entire account balance. Find out how much interest you can earn. What’s your current account balance? What was your account balance last month? What do you do with your account? Do you invest or insure in eligible products with us? 1The amount is calculated on per month (31 days) basis, this is for illustration purposes only. The calculator is for your convenience only and you have chosen to use it and rely on any results at your own risk. OCBC Bank will not under any circumstances accept responsibility or liability for any losses that may arise from a decision that you may make as a result of using the calculator. Open your first OCBC 360 Account and get $20 cash reward. Promotion is valid for Singaporeans and PR who open an OCBC account from 1 March - 30 May 2019. Limited to the first 1,000 customers per month. How different is the OCBC 360 Account from other savings or current accounts? The account comes with e-statements and you can choose to have a cheque book. You get 2 types of interest on your account balance every month. This interest is accrued daily based on your account's day-end balance and you will receive this at the end of the month. Earn 1% per year if your account's average daily balance is at least S$200,000. 1 The maximum interest earned is computed based on the effective interest rate of the respective bonus interest categories and the bonus interest balance cap. You will earn 1% per year on your account's incremental balances between your account's average daily balance in the current month and previous month, capped at S$1,000,000. Please refer to the online calculator available on this page to find out more. How will I know that the bonus interest is credited to my OCBC 360 Account? If you close your account before the bonus interest crediting date, the bonus interest for the previous month will be forfeited. Can I open more than one OCBC 360 Account? Each customer is only allowed to open ONE OCBC 360 Account where he/she is the Primary Account holder. The signing mandate can be either signed singly or joint alternate. Can I use the money in my OCBC 360 Account? Yes you can. There is no lock-in period for this account. You can withdraw money with a debit card and/or access your money through OCBC Online Banking. How do I qualify for the Salary Bonus interest? You need to credit a minimum salary of S$2,000 to your OCBC 360 Account every calendar month. You can meet this minimum salary requirement through a single credit or multiple credits each calendar month. If there are multiple joint account holders, the total salary amount credited to the account will be considered in meeting the Salary Credit Bonus requirement. While there are many ways salary gets credited into an account, only direct salary credits through GIRO with the description "GIRO - SALARY" in your statements will qualify for this bonus. Other forms of salary credit such as cheques, cash deposit, fund transfer, etc., strictly do not qualify for this bonus interest. 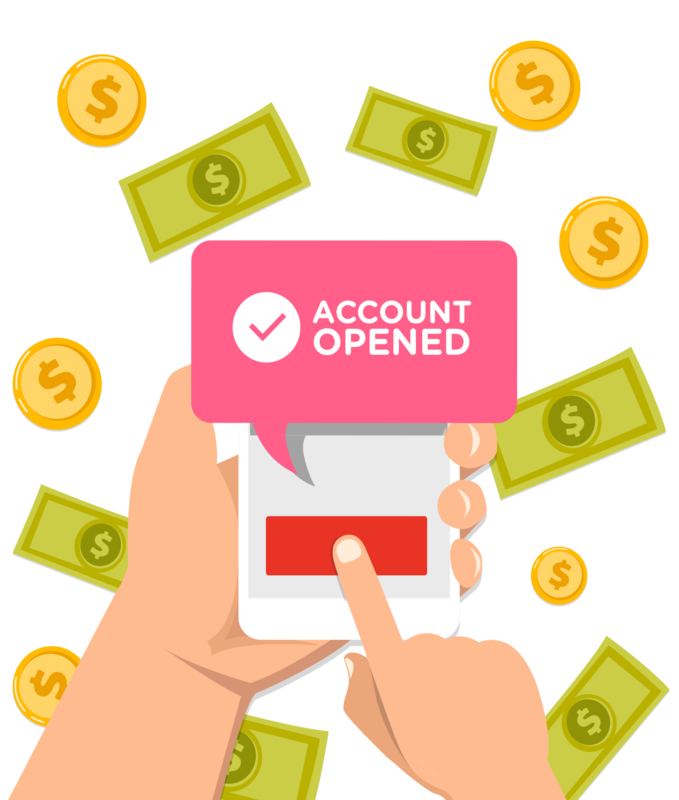 How do I set up my OCBC 360 Account as my salary crediting account? You just need to inform your HR department of your OCBC 360 Account number as the salary crediting account. You will only need to do it once. How do I qualify for the Credit Card Spend Bonus interest? You need to spend a minimum of S$500 across your OCBC Credit Cards (examples of eligible cards are 365, Titanium, Platinum, FRANK, Robinsons, Plus! and Best Denki). Eligible transactions with posting date within the calendar month will be considered, less off and excluding amounts in all transactions that are terminated, voided, reversed or cancelled. You must also be the Primary Account Holder of the OCBC 360 Account as well as the Principal Cardmember of the eligible OCBC Credit Card(s). If there are multiple joint account holders, only card spends by the Primary Account holder who is the principal cardmember will be considered in meeting the Credit Card Spend Bonus requirement. What about the existing rewards and rebates for my OCBC Credit Cards? On top of the bonus interest, you will also enjoy all existing privileges of OCBC Credit Cards. Hence, you could be doubly rewarded! Should you not qualify for the bonus interest, you still enjoy all the privileges of OCBC Credit Cards. What transactions are excluded from this bonus? If you have transactions converted to instalment payment plans through PayLite, Apple (via Telesales or Retail Store), and Samsung Online Store, the transacted and posted amount will be eligible for the relevant calendar month of transaction. Any subsequent monthly repayments to such instalment payment plans will not be eligible. If you have Cashflo or Instalment Payment Plan purchases, only the monthly instalment amount will qualify. Any transaction 1) on credit cards that are terminated at any time and 2) that is subsequently cancelled, reversed or made void, will not qualify. How do I qualify for the Step-up Bonus interest? You need to increase your account's average daily balance by at least S$500 from the previous month's average daily balance. How do I qualify for the Wealth Bonus interest? You need to purchase any eligible financial product of at least the minimum amount through OCBC Bank to earn up to 1.2% per year. Only new purchases made from 1 November 2018 will qualify. Purchases of the same financial product will be aggregated, if their effective date post free look/cancellation period or 14 days, whichever is longer, falls in the same calendar month. Table below shows a customer who purchases an eligible financial product in November 2018, with S$35,000 account balance in November and S$70,000 from December to October 2019. For eligible financial product purchases done prior to 1 November 2018, where you had qualified for wealth bonus interest of 1.2% per year on the first S$70,000 of your account balance, and have not completed the 12 month bonus period, you will continue to receive 1.2% per year on the first S$70,000 of your account balance for the remaining bonus period after 1 November 2018. Table below shows a customer whose account balance is S$70,000 and was eligible for Wealth Bonus of 1.2% per year from September 2018 to August 2019. For eligible financial product purchases done prior to 1 November 2018, where you have qualified for wealth bonus interest of 0.6% per year on the first S$70,000 of your account balance, and have not completed the 12-month bonus period, you will receive 0.6% per year on the first S$35,000 and 1.2% per year on the next S$35,000 of your account balance for the remaining bonus period after 1 November 2018. Table below shows a customer whose account balance is S$70,000 and was eligible for Wealth Bonus of 0.6% per year from September 2018 to August 2019. When will I receive the wealth bonus? You will receive the wealth bonus for 12 consecutive months after the effective date of purchase post free-look period or 14 days, whichever is later. Effective date refers to the inception date of the insurance product, trade date of unit trust, deposit start date of structured deposit and transaction date of other relevant investment products. Unit trusts or structured deposits investments that are subsequently cancelled will not be considered towards the minimum qualifying amount within the relevant calendar month. What happens if I subsequently purchase another eligible wealth product before the completion of my current 12-month bonus period? The wealth bonus earned on your OCBC 360 Account will be extended for another 12 consecutive months after the effective date of (your most recent) purchase post free-look period or 14 days, whichever is later. Do I continue to get this bonus interest if I sell my investments or when they mature? Yes. You will continue to get this bonus interest. Where can I find more information on the eligible products? Regular & Single Premium Endowment Insurance Plans, please click here. Regular Premium Protection Plans, please click here. Universal Life Plans & PremierLife Legacy, please contact your Premier Banking Relationship Manager. Unit Trusts, please click here. Structured Deposits, please click here or visit any OCBC Bank branch. Bonds, Equity-Linked Convertible Investments, Reverse Equity-Linked Convertible Investments, Structured Investments and Structured Notes, please contact your Premier Banking Relationship Manager. Alternatively, please leave your contact details here and we will get in touch with you. How do I qualify for the Grow Bonus interest? You will earn this bonus interest if your account's average daily balance is at least S$200,000. If I am an existing OCBC 360 Account holder, how do I qualify for the Boost Bonus interest? To qualify, increase your account's average daily balance from the previous month's average daily balance. Your account's average daily balance in the previous month must have at least S$0 or positive balances. This bonus interest will be paid on the incremental balance (difference between your account's average daily balance in the current month and previous month), capped at S$1,000,000. For illustration purpose: Existing account as of Oct 2018. If I just opened a new account, will I get the Boost bonus interest? If you open a new account, the bonus interest will be based on the average daily balance in the month of account opening. You will qualify for this bonus in subsequent months based on the incremental balance in the respective months, capped at S$1,000,000. For illustration purpose: New account opened in Nov 2018. Your account will be opened immediately with MyInfo. You will receive your account number and Online Banking access within 1 working day. This may take about 5 minutes. The insurance plans are provided by The Great Eastern Life Assurance Company Limited, a wholly-owned subsidiary of Great Eastern Holdings Limited and a member of the OCBC Group and Transamerica Life Bermuda Ltd. The insurance plans are not bank deposits and OCBC Bank does not guarantee or have any obligations in connection with it. You may want to seek advice from a financial adviser before committing to buy the product. If you choose to not seek advice from a financial adviser, you should consider if the product is suitable for you. Buying a life insurance policy is a long-term commitment. An early termination of the policy usually involves high cost and the surrender value payable may be less than the total premiums paid. This document is for general information only. It is not a contract of insurance or an offer to buy an insurance product or service. It is also not meant to provide any insurance or financial advice. The specific terms and conditions of the plan are set out in the policy documents. If you are interested in the insurance policy, you should read the product summary and benefit illustration (available from us) before deciding whether to buy this product. We do not guarantee, represent or warrant that any of the information provided in this document is accurate and you should not rely on it as such. We do not undertake to update the information or to correct any inaccuracies. All information may change without notice. We will not be liable for any loss or damage arising directly or indirectly in connection with or as a result of you acting on the information in this document. This document may be translated into the Chinese language. If there is any difference between the English and Chinese versions, the English version will prevail. This plan is protected under the Policy Owner's Protection Scheme which is administered by the Singapore Deposit Insurance Corporation (SDIC). Coverage for your policy is automatic and no further action is required from you. For more information on the types of benefits that are covered under the scheme as well as the limits of coverage, where applicable, please contact us or visit the Life Insurance Association (LIA) or SDIC websites (www.lia.org.sg or www.sdic.org.sg). The information provided herein is intended for general circulation and/or discussion purposes only. It does not take into account the specific investment objectives, financial situation or particular needs of any particular person. Without prejudice to the generality of the foregoing, please seek advice from a financial adviser regarding the suitability of any investment product taking into account your specific investment objectives, financial situation or particular needs before you make a commitment to purchase the investment product. In the event that you choose not to seek advice from a financial adviser, you should consider whether the product in question is suitable for you. This does not constitute an offer or solicitation to buy or sell or subscribe for any security or financial instrument or to enter into a transaction or to participate in any particular trading or investment strategy. The information provided herein may contain projections or other forward-looking statement regarding future events or future performance of countries, assets, markets or companies. Actual events or results may differ materially. Past performance figures are not necessarily indicative of future or likely performance. Any reference to any specific company, financial product or asset class in whatever way is used for illustrative purposes only and does not constitute a recommendation on the same. This presentation and its contents are considered proprietary information and may not be reproduced or disseminated in whole or in part without our written consent. Oversea-Chinese Banking Corporation Limited ("OCBC Bank") and OCBC Securities Private Limited ("OCBC Securities") are related but separate entities. All securities trading services and products are offered by OCBC Securities and are subject to the relevant terms and conditions of OCBC Securities. Trading in securities can be very risky, and you may lose all or more than the principal amount invested. This is particularly so when you need to (i) make your own trading decisions and (ii) ensure each trade is specifically suitable for you the only basis for trading through or with OCBC Securities Private Limited. The information contained herein has been prepared by OCBC Bank, the issuer and manager of the fund. It is for general information only. It does not take account of your specific investment aims, financial situation or needs. This is not a formal offer for this product. We are not recommending that you buy this product as you must first assess whether it is suitable for your investment needs. You should speak to a financial adviser before you buy an investment product. The financial adviser will look at your specific investment aims, financial situation and particular needs before advising you on whether the product is suitable for you. Of course, if you decide not to get advice from a financial adviser, you should consider carefully whether this product is suitable for you. The investment objective of the fund is more particularly described in the fund prospectus. You can get a copy of the prospectus of the fund from the manager of the fund, or any of its approved distributors. You should read the prospectus for details of the fund before deciding whether to subscribe for, or buy, units in the fund. The value of the units in the fund and the income building up from the units, if any, may fall or rise. The information in this document may contain projections or other predictions regarding future events or the future performance of countries, assets, markets or companies. These may be different from actual events or results. Past performance figures are not necessarily an indication of future or likely performance. Any reference to any specific company, financial product or asset class is used as an example only. We (OCBC Bank), and any of our related and connected companies, and their directors and employees (known as ‘related people’), may have interests in, and may make transactions in, the products mentioned in this document. We may have connections with, and may receive a fee from, the product providers. Product providers may also be related people, who may receive fees from investors. We and our related people may also carry out or try to carry out broking and other financial services for the product providers. We have done all we can to make sure that this document is accurate at the time of printing, but we are not responsible if there are any errors or missing information. If the document becomes out of date, we do not have to replace it. We are not responsible for any direct or indirect loss or damage arising in connection with, or as a result of, any person acting on any information provided in this document. Please do not reproduce or share any of the information in this document without our written permission. Unlike traditional deposits, structured deposits have an investment element and returns may vary. The initial investment amount of a structured deposits will be returned to you only if you hold it until maturity date. Early withdrawal of structured deposits may result in you receiving significantly less than your initial investment amount. You further understand that you will bear any cots and charges associated with such early withdrawal of the structured deposits. OCBC Bank may have the right to terminate the structured deposits and return an amount in cash to you from the due settlement of the structured deposits before the maturity date. You may be exposed to inherent exchange rate risks and exchange controls when you place a Structured Deposit. Structured deposits are not insured deposits for the purposes of the Deposit Insurance and Policy Owners' Protection Schemes Act 2011 of Singapore. You may wish to seek advice from a licensed of an exempt financial adviser before making a commitment to purchase this product. In the event that you choose not to seek advice from a licensed or an exempt financial adviser, you should carefully consider whether this product is suitable for you. The proposed transaction(s) herein (if any) is/are subject to the final expression of the terms set forth in the definitive agreement(s) and/or confirmation(s). No representation or warranty whatsoever (including without limitation any representation or warranty as to accuracy, usefulness, adequacy, timeliness or completeness) in respect of any information (including without limitation any statement, figures, opinion, view or estimate) provided herein is given by OCBC Bank and it should not be relied upon as such. OCBC Bank does not undertake an obligation to update the information or to correct any inaccuracy that may become apparent at a later time. All information presented is subject to change without notice. OCBC Bank shall not be responsible or liable for any loss or damage whatsoever arising directly or indirectly howsoever in connection with or as a result of any person acting on any information provided herein.